We are thrilled to introduce to you iPlum Business Account, which makes the rollout of iPlum to users in a company so much easier. 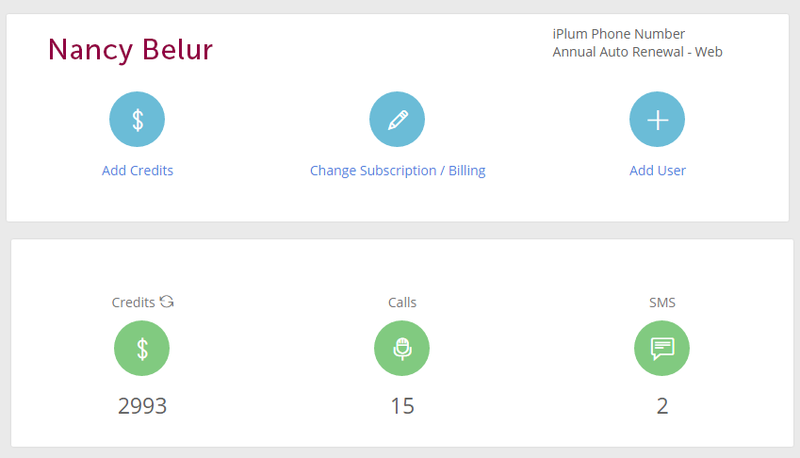 For businesses of all sizes, iPlum business phone number provides a simple, low cost way to segregate business calls and texting from personal information. After we launched our iPlum phone number app for iOS and Android early this year, we’ve been seeing a growing number of corporate iPlum users. With the iPlum Business Console, enterprise administrators get an easy way to centrally manage iPlum numbers and credits for a group of users, from a web console. The iPlum Business Account works similar to an iPlum individual account. You can access the cloud based console either from the iPlum app menu or from a web browser here. Your iPlum account works seamlessly with the console – in fact you sign in to the console with your iPlum app credentials. Business get same low price as individuals. There is no extra charge for businesses on iPlum. Any iPlum user can easily set up and manage a business account, whether it is for large or small business, non-profit group, or any ad hoc group or family. Start now by going to the iPlum Console.